The St Catherine's Trust Family Retreat ran from 9-11th April; this was our fifth, the first being in Spring 2006, following the first ever SCT Summer School in 2005. 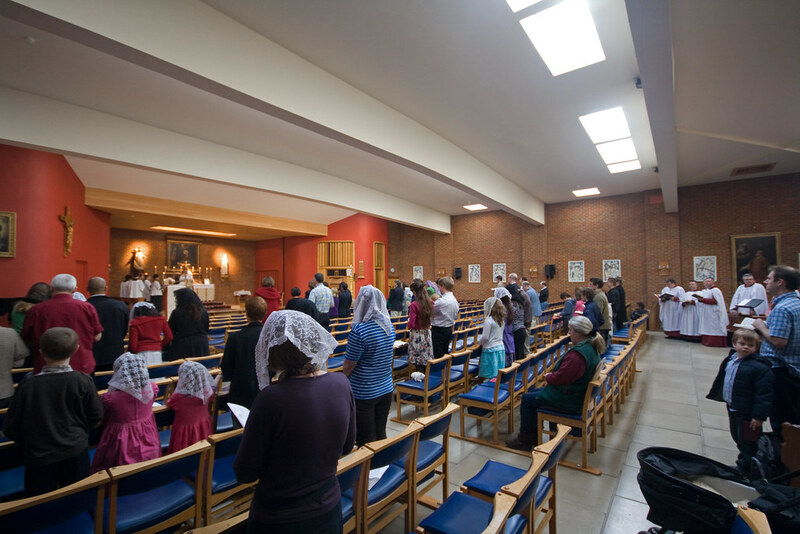 We felt that there was a huge unmet need for spiritual support of Catholic families attached to the Traditional Mass, many of whom have very unsatisfactory liturgical lives - travelling long distances to Sunday Masses, sometimes in different places each week, or not being able to get to the Traditional Mass regularly at all. Our instinct was correct, and the Family Retreat - priced to accomodate the greatest possible range of people, with children coming for free - has been a great success over the years. 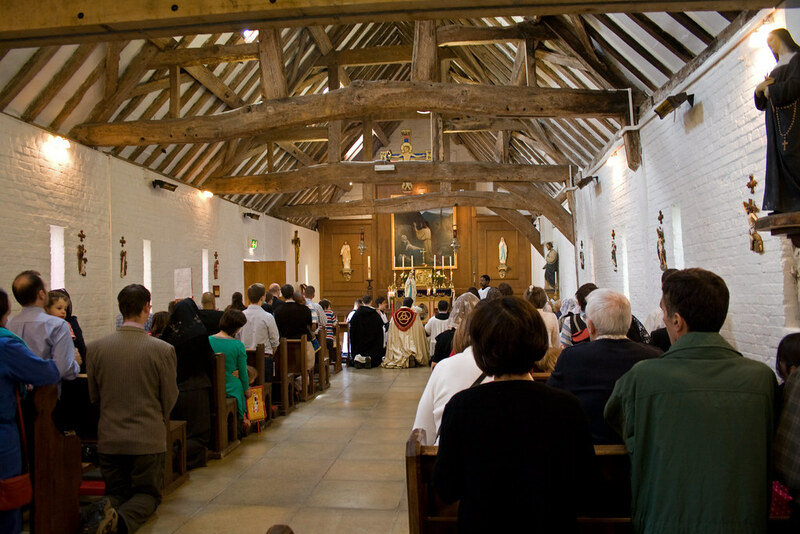 This year we were in a new venue, the Oratory School in Oxfordshire, near the village of Woodcote between Oxford and Reading. The 2010 Retreat hosted a Chant course as well, about which I've written a separate blog post on the Gregorian Chant Network blog. 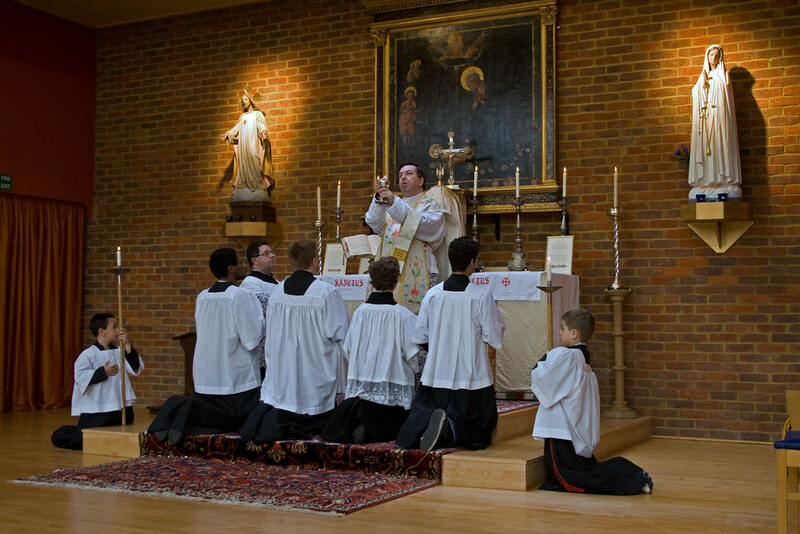 The Oratory School is a Catholic school with two chapels, both arranged for ad orientem Mass thanks to the school's Chaplain, the long-standing LMS National Chaplain Fr Anthony Conlon, who retired from that post last year. 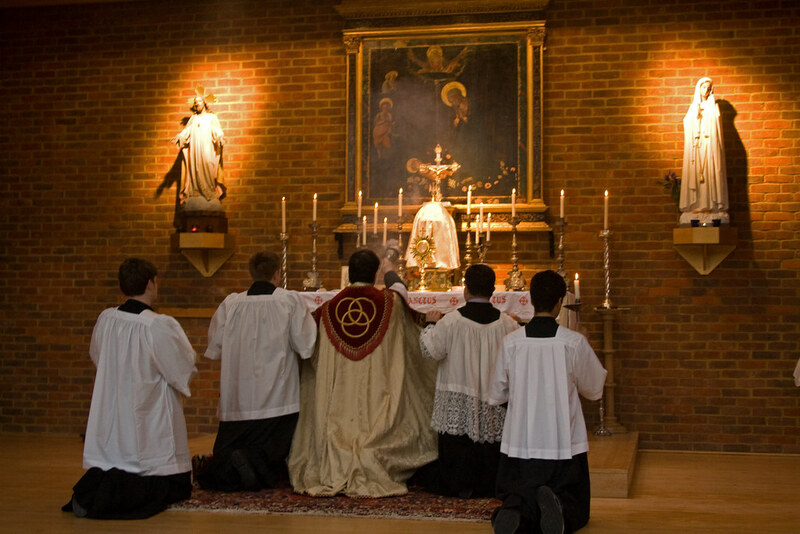 A Statue of Our Lady is carried in procession through the School grounds. 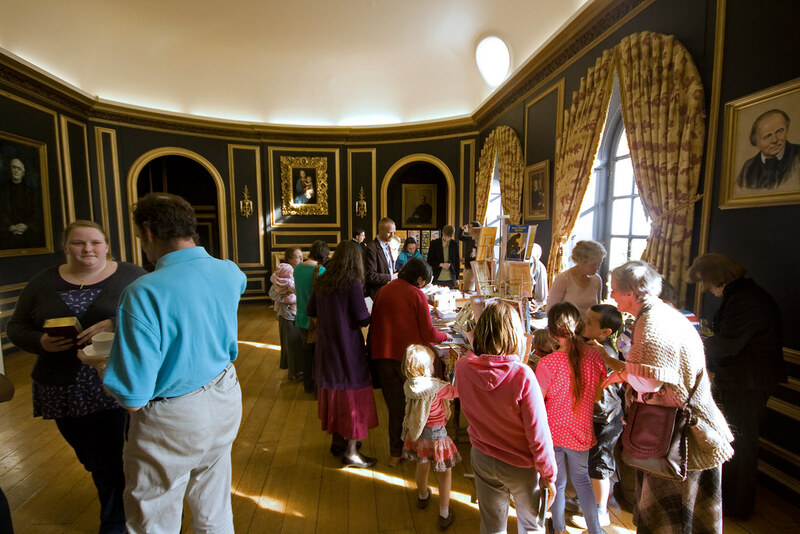 The Family Retreat is designed to enable parents of children of all ages to attend with the maximum spiritual benefit. There are activities for children of all ages during the adults' talks, and our Retreat Giver, Fr Andrew Southwell, always gives a spiritual talk to the children as well. This year the younger children made small Marian banner for the Marian procession which we had around the grounds of the school, from one chapel to the other; they also had an Easter Egg hunt. Prayers at the end of the Procession, in the Old Chapel. Fr Southwell was assisted by Fr Thomas Crean OP who spent much time in the confessional. Bookstall supplied by Southwell Books. In addition to Sung Mass on each of the three days, we had Rosary each day and Compline on Friday, and Vespers and Benediction as well as Compline on Saturday. The Marian procession, in glorious sunshine and in the lovely surroundings of the school grounds, was a new feature, and was very moving. We had small girls scattering petals before the statue, which was preceeded by a thurifer and four torchbearers, and followed by our two priests, Fr Southwell in a cope with an MC, and then the retreatants and singers, more than 150 people in total. 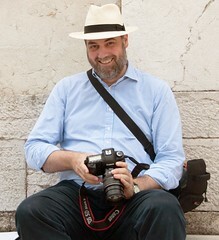 See a slideshow of the photographs.